We first wrote about this topic (which you can find at the bottom of the post in its entirety) in November 2015. In our latest update, we focus on the key elements of WordPress that make it a viable and scalable solution for those looking for a CMS for their business website in 2019. We thought it would be beneficial to look at the original post and see whether the information still holds true, and comment on whether many features have improved for business users. The infographic below was created back in 2014, but the facts still stand today – it makes an amazing platform for any business website! Editor’s Note: Our original post was created in November 2015 and we wanted to take another look at the topic and point out some of the key reasons why WordPress is a great fit for business users in 2019 and beyond. How viable is using WordPress for your business in 2019 and beyond? No doubt you’ve heard of WordPress being used as a content management system, but did you know that WordPress is or has been used by many companies such as TechCrunch, Marks & Spencer, as well as Mercedes-Benz and countless others to power their various websites? There are many reasons why WordPress is a great fit for business blogs, some of which we’ve covered in one of our previous blogs. This blog is aimed at business owners that are new to WordPress and content management systems and would like to understand what WordPress has to offer. We thought we’d revisit one of our previous blogs and build upon our previous points, and talk about how the recent developments and updates to WordPress continue to make it an increasingly logical choice for businesses looking for an affordable, quality solution when it comes to their CMS / website. One of the most appealing parts of WordPress is its ease of use for those that aren’t particularly technically minded or just have no prior experience with website design. We covered previously how the Divi theme can be a great solution to those looking for a powerful and versatile system that’s easy to use without sacrificing powerful features. If you’re reading this and in the process of deciding on a new business website, you might be wondering which type of features you can come up with very easily and the answer to that question is that there are no limits to what you can create with WordPress for the most part. Most businesses want a contact form, AI chatbot functionality and a blog as a very standard starting point. All those features can be implemented by simply installing and configuring plugins (without coding) and selecting where exactly these features should be placed. It really is that simple, the best way to learn is just to get stuck in and even install WordPress locally to familiarise yourself with the very basics. Business are faced with two options, firstly you can give things a shot yourself and learn how to use a lot of the features of WordPress and how to update your website. Alternatively, you can hire a web design agency to do the job for you so you can stick to doing what you’re great at, and what you enjoy the most – running your business. It goes without saying that if you have a business website, security is paramount. With WordPress regular updates are pushed out without any need for the user to mess around ‘under the hood’ in order to get things up-to-date. WordPress has a built-in feature to receive updates pushed out for content and security updates. Depending on your setting preference, all you will have to do is click a button to install a new update that has arrived for the CMS. In addition to this, as unlikely as it may be should be the worst happen to your website and your data there are backup solutions which can be installed through the plugin manager for extra peace of mind. A lot of the backup solutions made by third party developers may charge a subscription price depending on the selected service but the pricing is very affordable and is a great and essential solution that will save you problems in the future. There are also a wide range of security plugins available, one of our personal favourites is iThemes. One of WordPress’ many strengths is its ability to not only be the jack of all trades but master of nearly all of them. The system is built from the ground up with flexibility and ease-of-use in mind as well as future expansion. Because of this, any business will be able to find not only plugins that fit their requirements, but functionality that is easy and reliably implemented. As WordPress is a very modular system most plugins that are kept UpToDate by the developers work well and have great compatibility with other plugins which on older CMS platforms was frequently problematic with incompatibility being a regular cause for concern. It’s easy to read to this point so far and imagine that as WordPress offers so many different solutions, many of the sites will look identical because they’re built using the same platform. Fortunately, WordPress’ versatility isn’t exclusive to its feature set – it also extends to its aesthetic design possibilities with each theme being able to look completely unique. 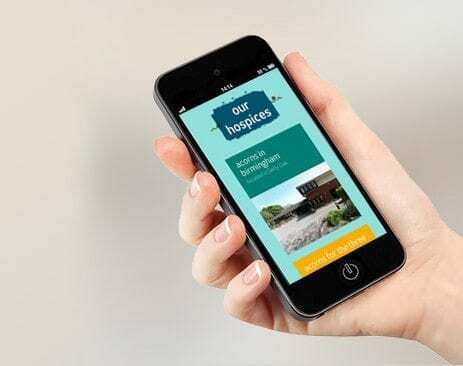 In addition to this, most new themes are mobile friendly and ‘responsive’ allowing the site to adjust based on which device you’re using without the need or developing your site for different users. The site will detect the device a visitor is using and react automatically, nothing is required to be applied via the website administrator. Despite being able to have beautiful websites, when it comes to speed WordPress is no slouch. Many plugins offering optimisations regarding caching and other file-size optimisations make WordPress’ load times be quick and optimal. Obviously other factors such as website host still apply, but be aware that WordPress has the tools to optimise your website for fast loading. The great thing about modern websites (specifically CMS) is that you have more options regarding how your content is managed. Back in the old days of ‘static’ 5-page websites, businesses would have to pay web design companies to add new pages of content to their website – even to amend small details on web pages. Even today some businesses prefer to do this as it saves them time, but at least today WordPress offers a user-friendly and simple way to add new content without the need for a web designer thus saving you money in the long run if you’re on a tight budget and just want an online presence where you can add new company blogs whenever you need to. The great thing about this too is you can assign roles to different members, so you don’t have to make every user an administrator with the ability to change important parts of your website. It’s a great solution for publishing different content to your website with ease and peace of mind. When dealing with anything that takes up time in your business, efficiency is key. WordPress is great at saving you time in a variety of different ways. One of the features in WordPress we regularly hear praise for is the ability for you to schedule posts (new content / new pages) at specific dates. A lot of small business owners are very busy from Monday to Friday but still would like the option of having control over which content goes out on their website and at what time and day. With WordPress’ ‘schedule’ feature, not only does this allow you to look at drafts of posts set to go live, but also provides the option to set the time and date each blog or ‘posts’ are published. If you have some free time for example on a weekend, you could write a company blog post that is scheduled to go live on a Wednesday – a day that you know you’ll be busy on. This is great because you don’t have to interrupt your Wednesday plans in order to get a new blog out and allows you to make use of some quiet time when things are less hectic. This is great for timed promotions set for a certain time of the year for example. There are many more features in WordPress that save you time due to the nature of how the site is built with simplicity in mind. The user interface is very intuitive and will very rarely slow you down by making you wonder how something works of what a particular menu item means. All in all we think WordPress is a great solution for small, growing or even large businesses that are looking for the latest website security features while also having the option to embrace new technologies by the way of plugin extensions. WordPress is a great, modular system with the ability to fit many requirements and be extremely proficient at nearly all of them without costing you an arm and a leg. Editor’s Note: A little over three years have passed since we first wrote our initial blog post. We wanted to add to it and give readers an updated take on the topic of WordPress being used for businesses, and how well-suited it is for typical business scenarios. Did you know that over 100,000 WordPress sites are created everyday? Since starting out as a blogging platform in 2003, WordPress has grown to become one of the biggest and best CMS giants on the planet. Today it is the software of choice for non-blogging websites, with 54.5% of all the websites who’s CMS we know, using it as their platform. That’s 17.4% of all websites! WordPress is the number one CMS. One factor that makes WordPress stand out is its simple, user-friendly interface. Even those who don’t feel fully confident publishing content online will find it very straightforward. By making it quick and easy for users to add new pages, upload images and create blog posts on a regular basis, WordPress lessens their reliance on their web developers and helps to save them money. 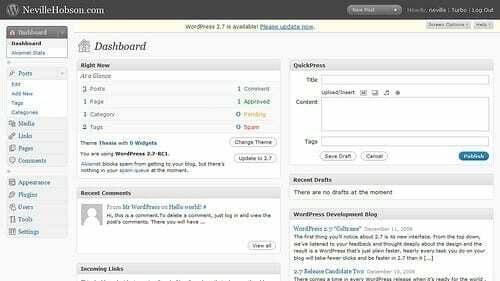 Thanks to WordPress’ simple dashboard, you won’t have to call your web developer every time you need to change a piece of content or sit around waiting for them to update your site. You can do it all yourself with just a few clicks of the mouse! WordPress has a very simple interface making it easy for users to create, edit and delete content. If you’re just setting up your business, it’s likely that you want to keep your costs to an absolute minimum. The good news is that WordPress is completely free to use. Unlike some premium website builders and software, WordPress is open source, which means it is free to download, use and extend. As a WordPress user, you will have complete freedom when it comes to using and customising WordPress. You will also have the full support of a global team of web developers who make up the WordPress community. As well as answering your questions and providing assistance, they work on updating the platform to make it as secure and efficient as possible for users like you. Understandably, you’ll want to customise your website to reflect your business branding and WordPress makes this possible. Thanks to the many WordPress themes available and the fact it is a self-contained system (no HTML editing software necessary); you shouldn’t find it too hard to customise your website to meet the needs of both you and your customers. As well as a whole host of themes available, you can also download and use a wide range of WordPress plugins. These plugins, which are sometimes referred to as extensions, are designed to increase the functionality of your WordPress website. They each have a different purpose; from improving your website’s SEO to transforming your site into an ecommerce store – the possibilities are endless! Where your site ranks on search engine results pages will play a crucial role in your business’s success online. The great news is that WordPress has great out of the box SEO features. With its clean and simple code, the platform makes it easy for search engines to read and index a site’s content. Not only that but each page, image and blog post can be optimised with its own meta tags, descriptions and titles, allowing you to further enhance your WordPress website’s SEO. If you’ve done your research on search engine optimisation, you’ll know just how important it is to create fresh, unique and captivating content on a regular basis. WordPress makes this possible by providing you with your very own in-built blog. It’s very easy to integrate with your site and providing you fill it with great content, it is sure to satisfy both readers and search engines. 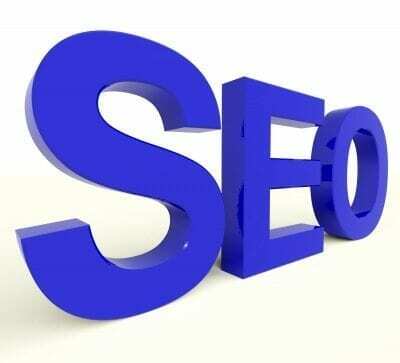 WordPress boasts excellent out of the box SEO features. As a WordPress administrator, you will be given the opportunity to set up multiple accounts for other users. This means that if you want someone to blog on behalf of your company or be in charge of updating your site content, you can give them access to do so. You will also be able to assign access levels and capabilities so you remain in full control of your company’s WordPress site. The fact WordPress is browser-based means that you and other account holders will be able to login to your site from any PC. This means you can access and manage your website in the office, at home or even on-the-go using a smartphone. A WordPress web developer will help you get the most out of the platform. With so many benefits, it’s no wonder that so many companies choose WordPress as their content management system. However, if you are looking to get even more out of the platform, you may find it beneficial to hire a WordPress developer. WordPress developers offer a wide range of services to individuals and businesses including bespoke web design, plugin design and theme design. They can also carry out integrations and extend the functionality of your WordPress website to benefit both your business and its customers. With over 20,000 people making a living as WordPress developers, knowing who to choose to assist you with your website can be a difficult decision. Below we’ve shared some of the key factors you may want to consider. Experience – Whether you have a complex request or simply want the peace of mind that you’re working with the best of the best, it’s a good idea to find out how experienced a WordPress web developer is. You can do this by talking to them and asking to see samples of their work. Viewing their portfolio will give you the opportunity to see if you like their style and speaking to previous clients will help you decide whether you can rely on the developer to do a good job. 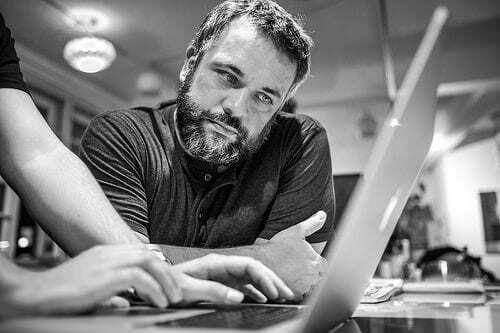 Professionalism – You can learn a lot about a web developer (or any professional for that matter) by viewing their website. This is particularly important when choosing a web developer, as if they haven’t bothered to create a good looking and well functioning site for themselves then how can you rely on them to do a good job for your business? Check their site has been designed to a high standard before giving them your business. Budget – Of course, your budget is bound to play a key role in your decision to hire a WordPress web developer. A good developer should be able to work with your budget and tailor their services to the amount of money you are willing to spend. Can they meet your needs? – This is the million pound question. If a web developer is willing to get to know you and understand what your business is about then it’s safe to say you’ll be in good hands. Choose an individual or web development Company that offers bespoke services and will go the extra mile to meet your needs. If you are looking for a WordPress web development company that ticks all the boxes, look no further than Opace. We have years of experience providing quality web development services to companies both big and small. To find out more information about Opace’s WordPress services or get a no obligation quote, please give us a call on 0845 017 7661. We look forward to working with you in the near future! If you found this blog useful you can follow us below to get the latest as we release more useful WordPress blogs over the coming months!